Tattoos mean different things to different people, from being just a style statement to telling a story about the person. But in this ever changing world tattoos can be relied upon to help people in a lot of ways. Ink has been used to hide surgical scars and even help acid attack victims, and now colour changing tattoos are set to change lives for a lot of people. 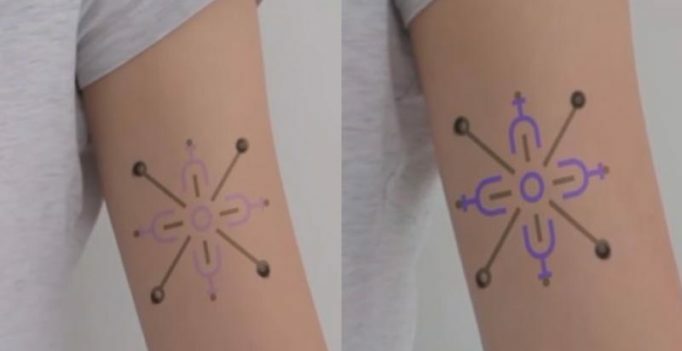 A group of researchers from Harvard and MIT came together to design these tattoos to help diabetics. The ink for biosensing tattoos makes the skin an interactive display and causes the tattoo to change colour when blood sugar level is too low or high. The technology will make life less painful for people living with type 1 and 2 diabetes who have to pierce their skin several times a day. In ancient times tattoos were used for several purposes including punishment for people, centuries later the art has clearly come a long way.